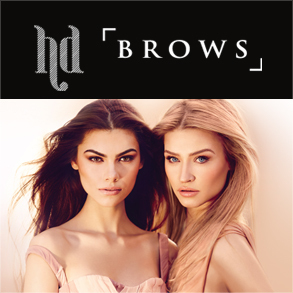 Thank you to our valued HD Brows Clients for their invaluable feedback. Your continued support is always appreciated. Love HD Brows! My new brows look sensational and I would highly recommend HD Brows! I am so glad I found you and can tell you that I will never go back to normal brows again. I love my new HD Brows. Before my eyebrows were waxed and really thin and shapeless. I was skeptical at first, but now I can see what Angela was talking about and my brows are heaps better as they are getting fuller and have more shape and definition. HD Brows has completely transformed my face and I love my new on-trend brow shape. I used to pluck my own brows and have them waxed occasionally but Angela sculpts them perfectly and they get better each time. I use the pencil and the palette every day because I like the defined look. Now that I have started with HD Brows I wouldn’t get anything else! I have always had brow waxing before, but it wasn’t anything like HD Brows! I love my new fuller and more defined eyebrows, and get comments on them all the time. Absolutely amazing! They get better every time. I never really thought much about my eyebrows until I had HD Brows. I don’t like my brows really dark so Angela creates a soft blonde colour for me – just right! I have very bushy brows and have always plucked them myself, following the rules you read in beauty magazines. Over the years my brows have lost their shape and begun to look unnatural. I have only had a couple of HD Brow sessions, but Angela has put me back on track. I will definitely leave it to the expert from now on! My sister in Ireland kept telling me how good HD Brows were so I thought I would give it a go. I am so happy with my new defined shape, and colour. Thank you Angela & HD Brows! I have always taken care of my brows, but they have never looked as good as they do since I have been having HD Brows, and I couldn’t live without them now. Angela is always so thorough and professional. Never had a brow treatment before HD Brows as I just plucked them myself. After my first treatment I got so many comments about them – it’s amazing the difference they make. I have grown in some areas to make them fuller and my brows are now more even.